Hello. 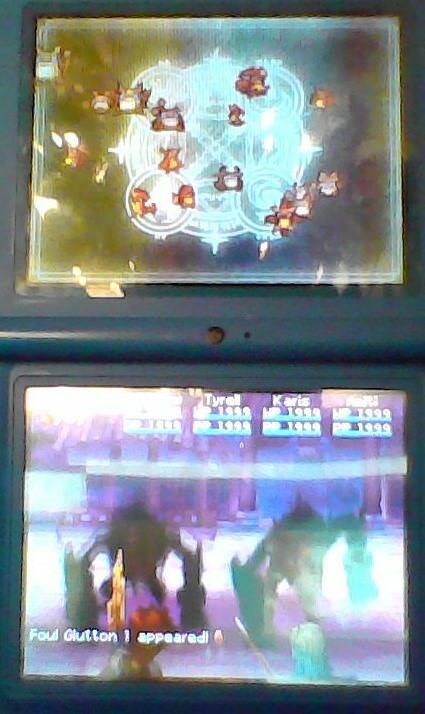 I tried Golden Sun Dark Dawn with the latest version of DeSmume and if you have any djinn on standby they will show up transparent when you go into battle but on a real DS they aren't transparent. latest stable version which is v0.9.11. Tried changing the 3d renderer and I got the same result, then I used nightly build d939459 with same result, and then I tried changing the 3d renderer again with that nightly build but got the same result. post a screenshot and if possible find a video of this scene on hardware on youtube. i really doubt this mismatches the hardware. it's almost impossible for me to imagine how something accidentally gets transparent. 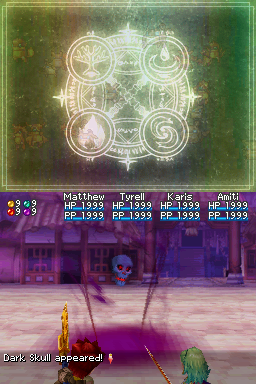 The djinn are sprites that are drawn in the OBJ layer. When debugging, it appears that these sprites are using the Transparent OBJ mode, which is forcing the sprites to draw transparent. Under normal circumstances, this is the intended behavior. However, it looks like Golden Sun: Dark Dawn is doing something strange here, because even though Transparent OBJ mode is being used, the sprites are being drawn as opaque. I have no idea what kind of special rule the NDS is using in this case. Or maybe we're just using a faulty implementation of the Transparent OBJ mode. It really is all very strange.